The challenges of providing efficient services in conditions of financial constraints and rapidly changing social conditions have been the main driver for the increased demand in new innovative ICT-enabled services by public administration organizations. In order to address these needs following innovative approaches can be leveraged to develop solutions for flexible and personalized relations with public administrations: increased connectivity due to numerous social networking applications advances in smart-mobile technology and collaborative service design. CMR has mostly been focused on the judicial sector participating in a number of European and national projects. The JUMAS (Judicial management by digital libraries semantics) project enables “actors” (e.g. 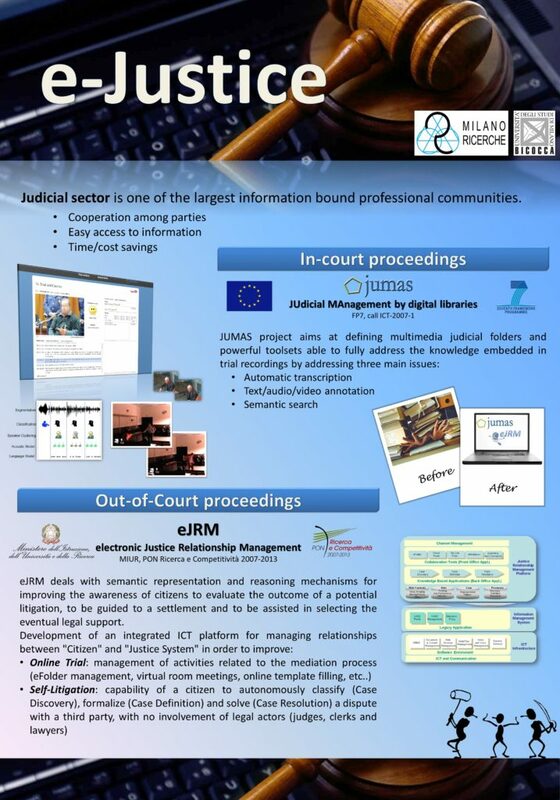 judges, lawyers and clerical staff) in a criminal trial to leverage new semantic tools and user generated contents into a more efficient judicial process. 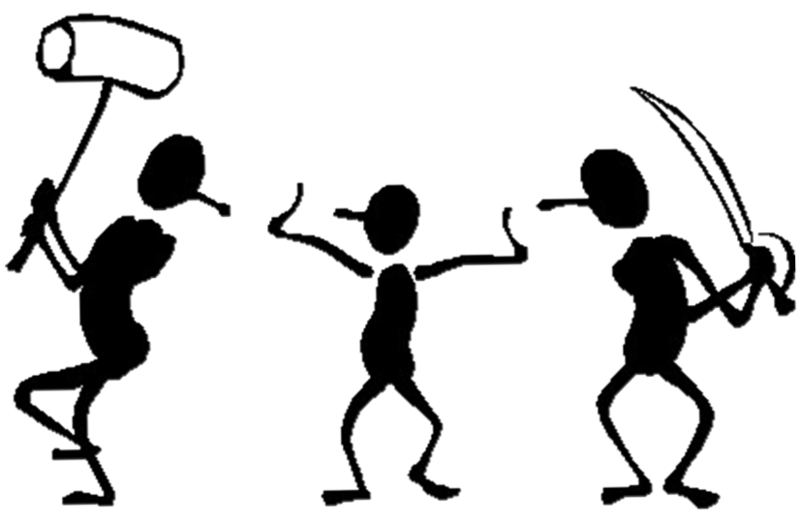 Some of the used predictive analytics approaches include: emotion recognition from audio voice signal with SVM (Support Vector Machines) and information extraction with CRF (Conditional Random Fields). 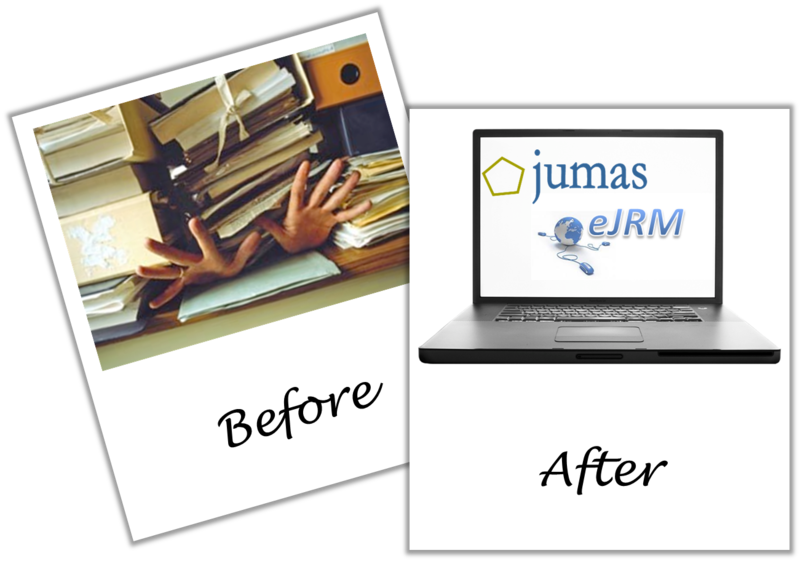 On the other hand e-JRM (electronic Justice Relationship Management) project focuses on alternative on-line dispute resolution allowing citizens to be more pro-active and allowing mediators to offer personalized and higher quality services. Here efforts have been focused on information extraction and dynamic questionnaire design based both on mediation domain ontology and Question & Answering approach. Additionally, CMR research staff has been actively involved in dissemination of developed solutions through publishing in peer-reviewed journals and participation in leading conferences.